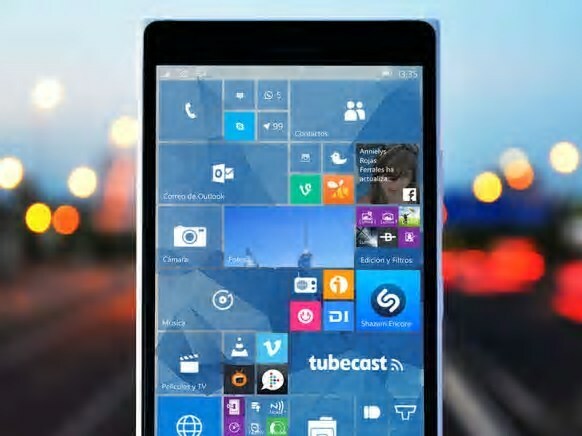 Microsoft pushed Windows 10 Mobile Insider build 14327 to the Fast Ring. 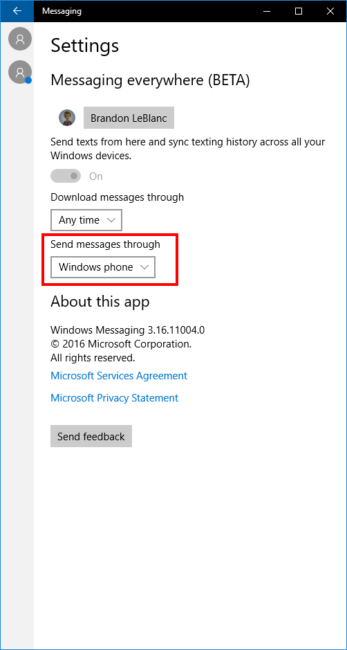 New Messaging Everywhere Beta Preview is also enabled in this build, that allows you to send and receive text messages from your phone from any Windows 10 PC. Fixed the issue causing Language and Speech packs to fail to download. Fixed the issue where in some cases your phone’s screen may not turn on and become unresponsive and Windows Hello stops working if you used the power button to lock/unlock your phone quickly. Fixed the issue where in some cases, users might get in a state where neither space or enter are working on the keyboard. Fixed the issue causing Facebook Messenger and other apps like WeChat, Transfer My Data, and UC Browser from failing to launch from Start or All apps. Fixed an issue where diverse emoji couldn’t be deleted from the text box in an interactive notification. Updated the autocorrection logic, so you can now abort an autocorrection by tapping on the bolded word. Updated the Glance screen so it will now reflect Ease of Access text scaling. Fixed an issue where tethering over Bluetooth wouldn’t work if Bluetooth had never been turned on before. Fixed an issue where you couldn’t set a sample image as a lock screen background. Investigating issues which cause mobile data to stop working but show as connected.